Choose the right contractor for roof repairs. 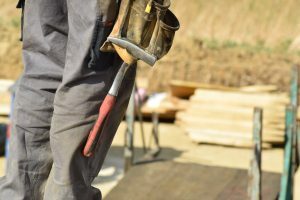 A development in the Tampa area illustrates why it’s important to take care when picking a contractor for roof repairs. “The gall of these guys to even come back here and start up again, which tells me they don’t care what they do or who they do it to,” said Pasco Tax Collector Mike Fasano. Carlton Dewayne Dunko and Frank Martin Pureber once ran a notorious storm repair insurance scam that gleaned millions from consumers in 11 states, through a company called American Shingle before moving to Tampa and operating a similar roofing scam uncovered by us in 2013 called NBRC Construction. They both went to prison in 2016 for ripping off nearly 100 NBRC victims in six Tampa Bay area counties for more than $631,000 and are now serving probation. They still have pending fraud cases in Connecticut and Missouri related to their past business schemes. Given how important it is to choose well when picking someone for your roof repairs, here are a couple tips that can help set you on the right path.